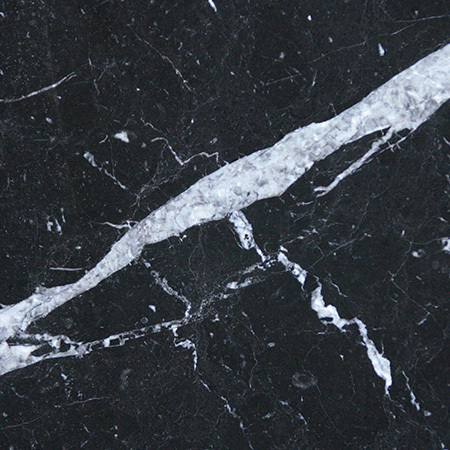 At Surrey Marble and Granite, we’re proud to combine traditional expertise with modern technology. We’re primarily a manufacturing centre, where experienced stone workers create items of all shapes and sizes for commercial, industrial and domestic customers. 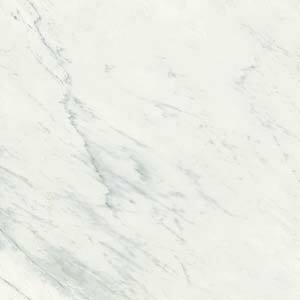 Our expertise in the fabrication of stone worktops, floors and staircases has lead to us dealing more directly with the public. We’re able to give you straight from the quarry prices on stone, combined with the confidence that comes from working with a firm with years of stone-cutting experience. What’s the first stone you thought of? 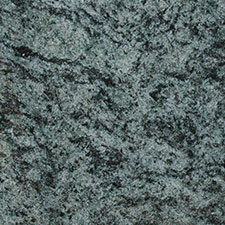 For most Brits, the answer is marble or perhaps granite. Thanks to shows like ‘Grand Designs’, many of us have seen how beautiful and effective stone can be in the home, but believe it’s out of our reach. 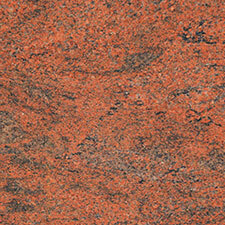 In fact, thanks to technological advances, stone has become much more affordable. When you calculate the life cycle cost, including fabrication, it’s comparable to other materials such as carpet or wood. 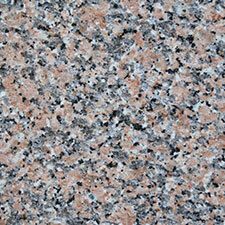 Looking beyond marble and granite can give your home or business a distinctive look, while also saving you money. 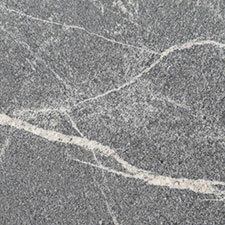 Natural stones, such as limestone or slate can be used to create similar effects at lower prices. 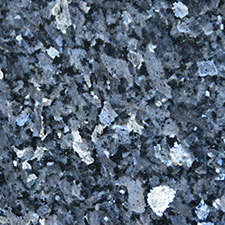 And if you haven’t yet discovered the stunning colours of quartz, you’re in for a treat. 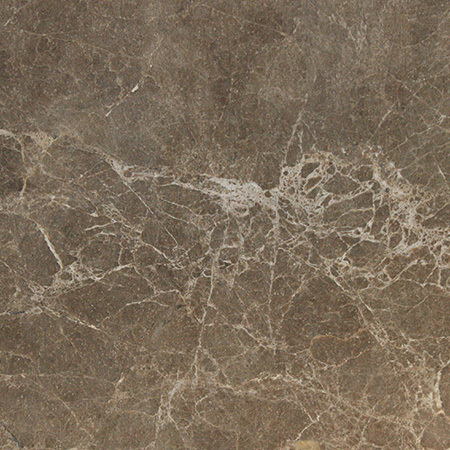 Natural stones, like quartz, are combined with modern adhesives and sealants to engineered or processed stones. 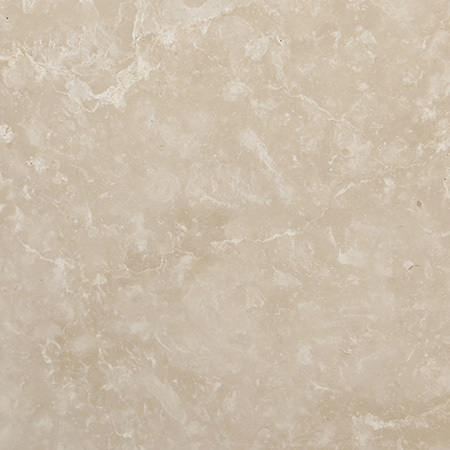 These have many of the benefits of natural stone, and many of their own. One of the key advantages is an astonishing range of colours. From snow white to a glittering, midnight black, royal blue to sandy beige, pillar box red to soft greens, you’ll find the entire rainbow here. 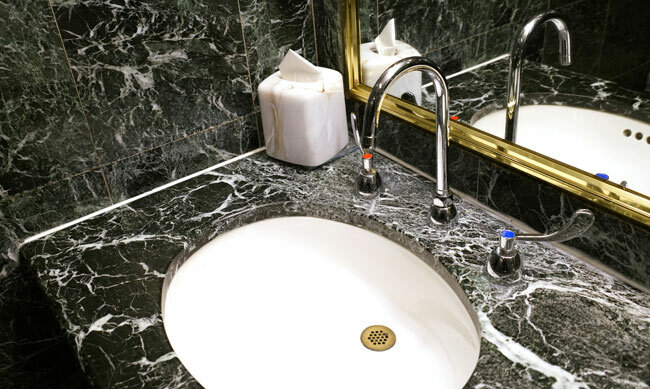 Thanks to the fabrication process, processed stones not only have the durability, strength and hardness of stone, they’re also already sealed, and have no cracks or dips where germs can hide, making them hygienic and easy to clean. Stonehenge, the Taj Mahal and our beautiful Surrey churches have one thing in common: their builders knew that stone would stand the test of time. This durability doesn’t just apply to natural stones, like the sandstone and Welsh bluestone that makes up Stonehenge, but also to modern, engineered stones. When considering the cost of new flooring or replacing a kitchen worktop, it’s essential to budget for the full lifecycle of the product, including cleaning, repair, maintenance and eventually replacing it. 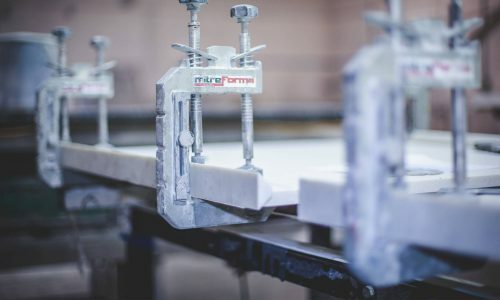 Stone can be cut to almost any shape, and we’re accustomed to fabricating all sorts of bespoke and standard items, so you can use stone wherever you need a quality product that lasts. While carpet needs cleaning and lasts just a few years, and wood is easy to cut or scratch, stone can last down the centuries, and still be reusable at the end. 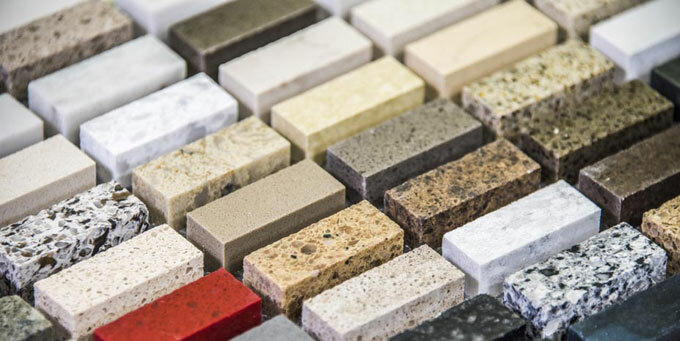 Whether you’re bringing a new, modern look to a period property or refreshing a contemporary building, you should definitely consider using granite. Beautiful and practical, this traditional material is undergoing a renaissance. One of the toughest materials around, granite is an ideal choice for any home that needs to be easy to maintain and care for and a joy to live in. 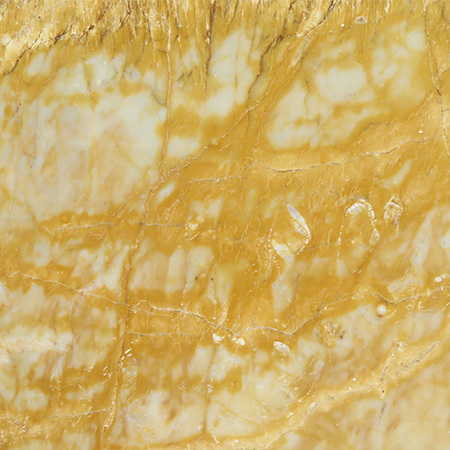 That it’s a show-stoppingly beautiful stone prized by top interior designers is simply a bonus!